While the immediate news for Ford Motor Company of both brands posting negative year over year growth in September 2012 looks bad, there were some bright points for Ford and for Lincoln – there is still the ongoing promise that good things are a-comin’. The Ford brand sold 168,174 cars, trucks and utilities in September 2012 – 7 less vehicles than they sold in the same month in 2011. This accounts for a negative growth figure for the Ford brand but when you round to the nearest hundredth, Ford posted a 0.00 decline in September. The biggest contributor to the lackluster figures by Ford was a steep decline in sales of the popular Fusion sedan as consumers undoubtedly wait for the amazing new 2013 Fusion to hit dealerships. The Fusion posted negative growth of 37% - which is a big hit to the bottom line when a loss like that applies to one of your bestselling models – but when the new Fusion arrives later this year we can almost certainly expect that the company’s midsized sedan will show much better numbers. The termination of the popular Ranger small pickup also had presented a significant negative impact to the bottom line since being removed and this was especially true last month. Last month, the top model from Ford in terms of growth was the Focus with 19,736 new vehicles accounting for an increase of 91.4%. The Ford Explorer was second in growth with an increase of 18.7% and the Transit Connect was third with a jump of 15.4% The new Ford Escape was fourth in total sales growth with an increase of 14.5% over September 2011. 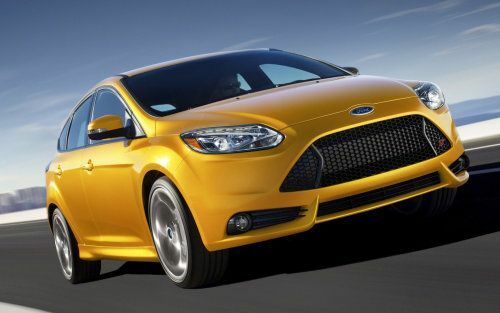 On the year, Ford has moved 1,625,934 units – marking an increase of 5.7% over the first 9 months of 2011. Even though the luxurious Lincoln brand showed one of the most significant declines in growth among major brands in September 2012 with a drop of 3% (only Suzuki, Mazda, Mitsubishi and Jaguar were worse), there were a handful of bright spots for the brand. The Lincoln MKZ was the top model in terms of growth with an increase of 33% in moving 2,575 units – a figure that also makes the MKZ the top performer in terms of sales volume as well. The MKT (cousin to the Ford Explorer) was second in growth with an increase of 30.8% and the Navigator was third in growth with a rate of 28.2%. After the MKZ led the brand in sales, the MKX was the next bestselling model with 2,110 SUVs sold while the flagship MKS was third in sales with 709 full sized sedans sold. On the year, Lincoln has moved 63,880 – 1.5% less than the number of new models sold during the first three quarters of 2011. Things are grim for the Lincoln brand but the bright side is that with new models promised, things should only get better moving forward.